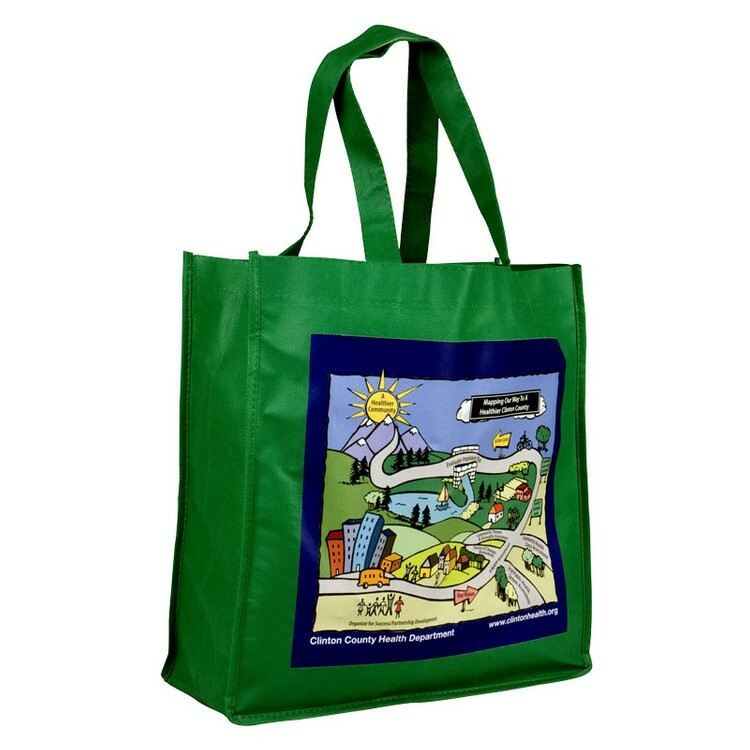 Made with 80gsm non-woven polypropylene (Recycle Code #5). 13" x 13" with 5" Gusset with 18" Handles. Digital Imprint.